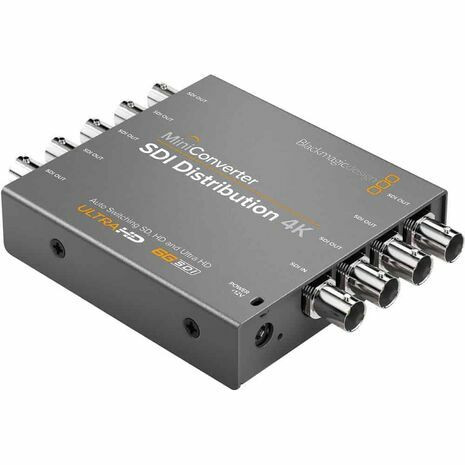 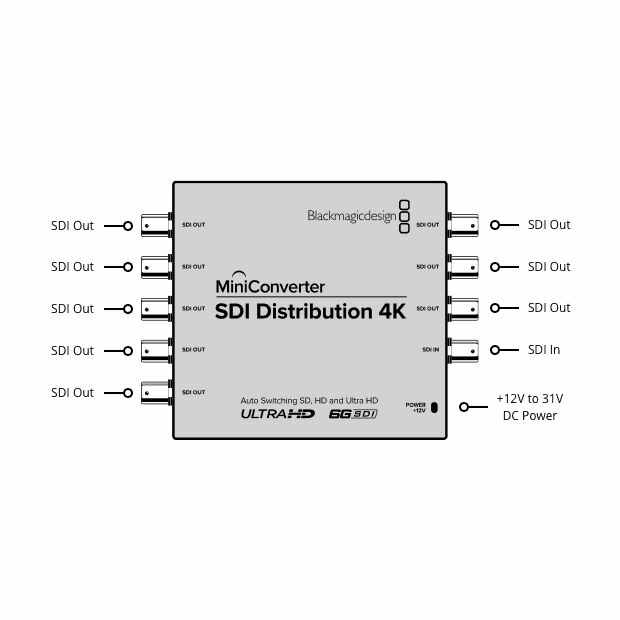 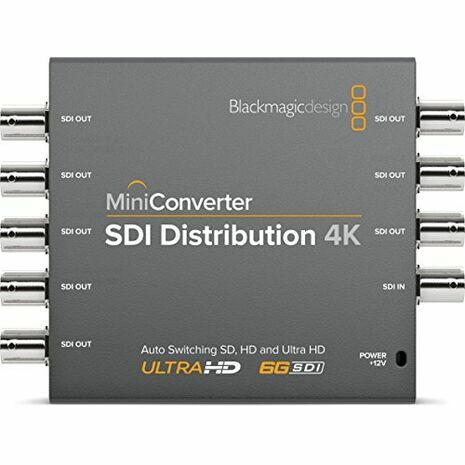 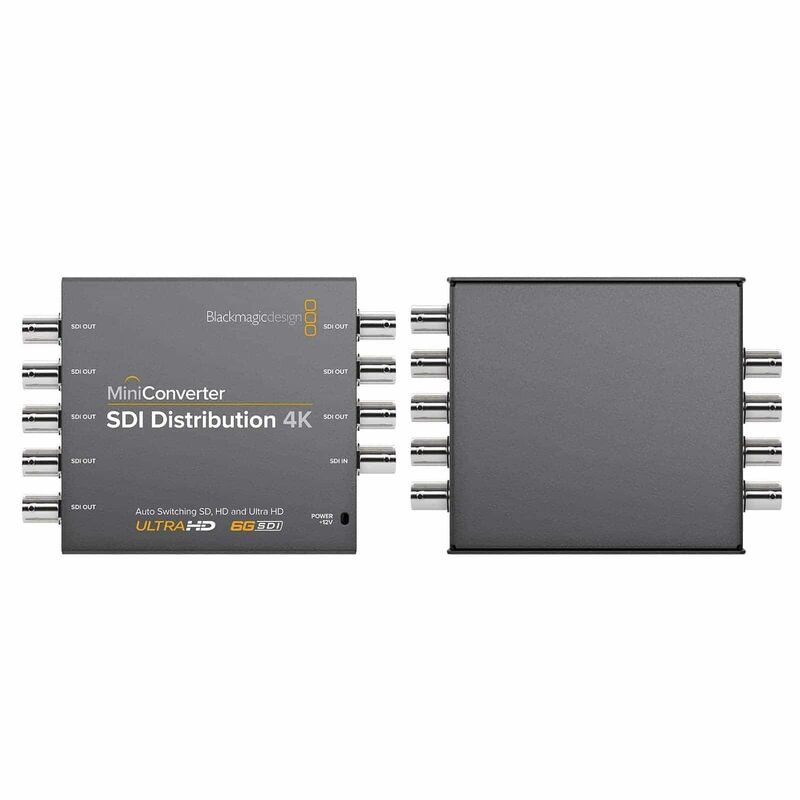 The Mini Converter SDI Distribution 4K from Blackmagic Design allows you to distribute a Single Link SD/HD/3G/6G-SDI signal to eight SDI devices simultaneously. It automatically detects the input signal type, re-clocks it, and its eight outputs automatically match the SDI input video format. With a compact form factor and easy-to-use controls, the Mini Converter is ideal for a variety of broadcast, post production, and professional AV applications.